With the myriad of car hack stories making headlines over the last few months, car makers are finally banding together to make connected vehicles more secure. So far, we've seen Fiat Chrysler Automobiles recall 1.4 millions vehicles to patch a software exploitation, while GM was quick to send out a patch for a possible security breach as well. Tesla also had to issue a patch for its Model S after it was found to be hackable, and a research team showcased how a Corvette could be hacked using text messages. All of these have so far been part of security demonstrations or research, with none putting anyone at any great risk. 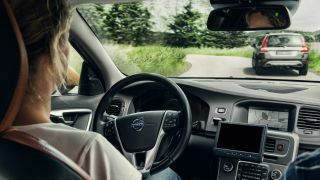 But with more and more vehicles becoming connected, and driverless cars a real possibility in our future, an industry-wide security focus is welcome news. The Alliance of Automobile Manufacturers and the Association of Global Automakers are establishing an Information Sharing and Analysis Center (ISAC) to combat future cyberthreats, according to AutoNews. The ISAC will have a similar function as it does in other industries, acting as a secure hub to share the different types of cyberthreats to vehicles, as well as sharing best practices to both prevent and respond to these threats. The center will have a dedicated staff of analysts and every major automaker is expected to participate in the ISAC. Suppliers and telecommunications companies are expected to participate in the center as well. According to the AutoNews, Rob Strassburger, the vice president of safety at the Alliance of Automobile Manufacturers, has said that the center is scheduled to be operational by the end of the year.